Some good news from Sudan. Petr Jasek, Hassan Abduraheem, Kuwa Shamaal and Abdulmonem Abdumawla in prison…ALL NOW FREE! Thank you for praying for and writing on behalf of prisoners in Sudan. After 510 days in prison, Rev Hassan Abduraheem and Mr Abdulmonem Abdumawla were released on Thursday after receiving a presidential pardon. The two were arrested in December 2015 along with Voice of the Martyrs field worker Petr Jasek and Rev Kuwa Shamaal. Rev Shamaal was acquitted of all charges and released in January, while Petr Jasek was released in February, also after receiving a presidential pardon. ‘My joy is now complete as they are now free as well,’ Petr said following their release. Petr spoke to Rev Abduraheem at about midnight Sudan time following his release on May 11. ‘He told me that both he and Abdulmonem were in good health and were excited and so happy to be free. He also expressed thanks to all of those who had pushed their case,’ Petr said. Rev Abduraheem told Petr that he had no regrets about his time in prison because he could see the Lord’s purpose for him there. He was able to encourage Christians in various prisons in Sudan while his imprisonment also served to encourage and embolden the Sudanese church in general. The pastor told Petr that he had already forgiven those who interrogated and imprisoned him and that he felt no anger or bitterness. ‘I pray that the Lord Jesus would reveal himself to them as Lord and Saviour,’ he said. Sorry to email you again so soon after the news of Li Heping’s release, but we’ve just had some amazing news from Sudan! Reverend Hassan, a church leader, and Mr Abdumawla, an activist, have been released from prison today. Both men were serving unjust twelve-year sentences for espionage, inciting hatred between sects and propagating false news, but were set free after receiving a presidential pardon. Read more in our press release. Thank you so much for all your praying, campaigning, tweeting, and more on behalf of these two men as well as Rev Kuwa and Mr Jašek, who had stood trial alongside them. Many of you tweeted Jan Figel, a senior EU representative, asking him to raise the case with the Sudanese government during his visit to the country earlier this year. It’s been a truly humbling week here at CSW: and it’s only Thursday! Only this morning, in our staff prayers, we were thanking God for the release of Chinese human rights lawyer Li Heping and praying for these men in prison in Sudan. Join us in thanking the God who answers prayer powerfully! Two men in Sudan are in a maximum security prison. They didn’t do anything wrong. 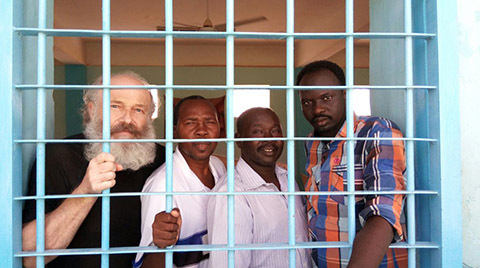 02/02/2017 Washington, D.C. (International Christian Concern) – International Christian Concern (ICC) has learned that on Sunday, January 29, three Christians were sentenced by the Sudanese court in North Khartoum for charges including spying, entering Sudan without a visa, inciting hatred, photographing military installations, and publishing fake news. Reverend Hassan Abduraheem was sentenced to 12 years, Mr Abdumonem Abdumawla was sentenced to 12 years, and Petr Jasek was sentenced to 20 years. Petr Jasek is a Czech national, and Abdumawla and Abduraheem are citizens of South Sudan. They were detained for eight months without being formally charged in December of 2015. Their detainment centered on a receipt that linked them to helping a burn victim who was wounded in demonstrations in 2013. The list of charges against them quickly grew exponentially. The Czech government has rejected the ruling as groundless and insists that there is no evidence for this harsh sentence. A strong majority of Sudanese citizens are Muslim and the Sudanese government has taken an aggressive approach against Christian ministries within its borders. The sentencing of these three Christian foreigners sends a signal on Khartoum’s stance on religious freedom: it is unwanted. Still, many are joining in prayer for the release of their brothers in Khartoum and for opportunities to share the Gospel in Sudan. Czech Christian Petr Jašek has been sentenced to life in prison in Sudan – after a court convicted him yesterday of spying. His real crime? Helping a student from Darfur who had been badly injured at a rally. His co-defendants – Sudanese nationals Rev Hassan Abduraheem Kodi Taour and Abdulmonem Abdumawla – were each sentenced to a total of 12 years in prison, mainly for helping Petr. Please pray that God’s peace and presence will be with these three men and their families, and that their appeal will be successful. The three men were also convicted of ‘spreading rumours that undermine the authority of the state’ and inciting hatred. Petr was found guilty of taking pictures of military installations and entering Sudan without a visa; he was also fined 100,000 Sudanese pounds (more than £12,000) for doing aid work without a permit. Yesterday’s court ruling has shocked many. The legal maximum penalty for ‘spreading rumours to undermine the authority of the state’ is six months – but the judge in Khartoum doubled this sentence. All three men plan to appeal immediately. They were first detained in December 2015. Pray that God will comfort and strengthen Petr, Hassan and Abdulmonem so they will not lose heart (2 Corinthians 4:16). Ask God for wisdom for the legal team supporting the three men. Pray that their appeal will be heard swiftly and will be successful. Pray that the light and love of Jesus Christ will continue to shine in Sudan, despite intense persecution of His people there. Since December 2015, Pastor Telal Rata, Rev. Hassan Taour and three other Christians have been unlawfully detained without charge, incommunicado, in an unknown location in Sudan. Pastor Telal Rata, leader of the Fellowship of University Christian Students, was allowed only one visit from family members. They have since been denied access to him. Rev. Hassan Taour, vice-moderator of the Sudan Church of Christ, has been denied all access to either his family or his lawyer. Three other Christian workers, whose names have not been made public, have also been detained. These Christians are being detained unlawfully, denied access to a fair legal process, and may be at risk of ill-treatment or torture. Their plight forms part of a widening campaign by the Sudanese government to suppress Christianity through imprisoning Christians and demolishing churches. Pray for the disclosure of their whereabouts so they can see family and lawyers. • For God to soften the hearts of the Sudanese authorities, leading them to release His people. Thank you for your compassion, faithfulness and God-given passion for justice. Imagine for a moment that the police have turned up at your home, taken your husband or wife, son or daughter into custody, and then refused to tell you where they are being held, why they have been arrested and whether or not they are all right. Even after almost five months, you still do not know where they are being held or how they are being treated. That is the awful reality for the family of Pastor Hassan Abduraheem Kodi Taour in Sudan. Taour and another pastor, Telahoon Nogosi Kassa Rata, who were arrested in December 2015, remain in detention. As you read their Prisoner Profile please pray for their physical and spiritual wellbeing and for their families. As part of our support for prisoners of faith and their families, Release is monitoring the situation and will update you on any developments in the case of our two Sudanese brothers. Thank you for praying for and caring for prisoners of faith. Thank you for supporting and engaging with Christians who have been imprisoned for their faith. You can download this Profile as a pdf document by clicking here. 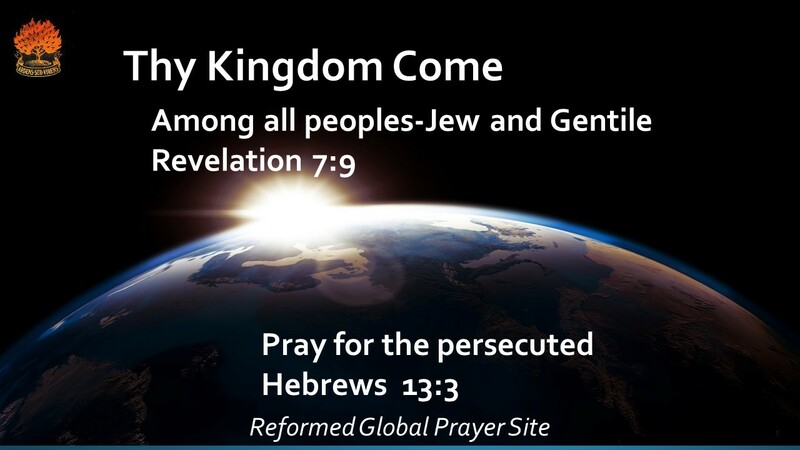 Thank you for all your support for Christians who have been imprisoned for their faith. Find out more about writing to, and on behalf of, prisoners of faith by downloading our Speak Out! and Reach Out! booklets.